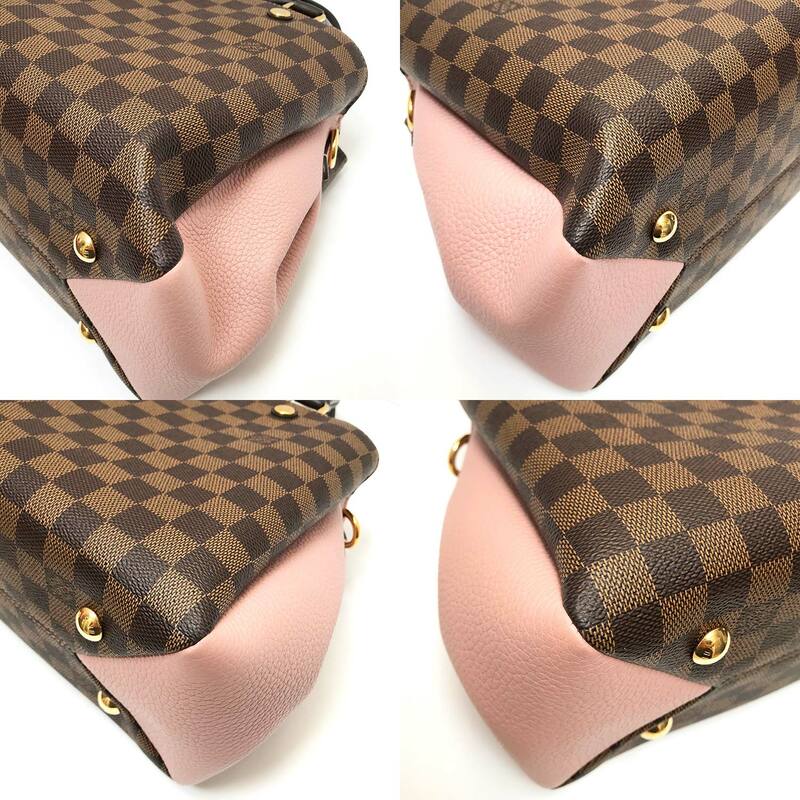 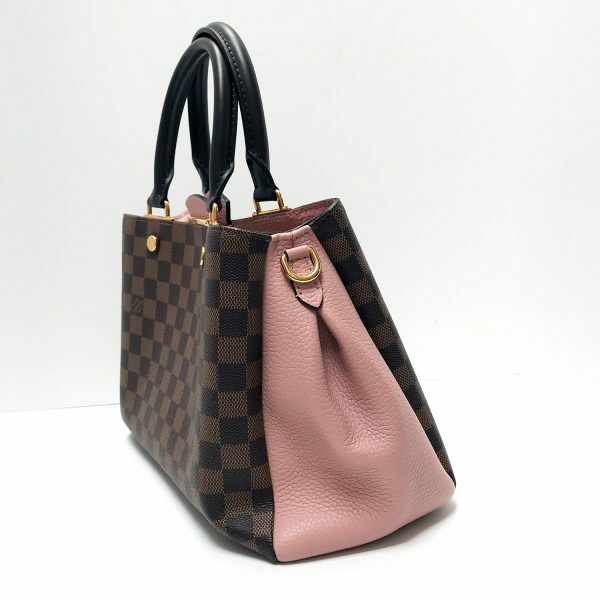 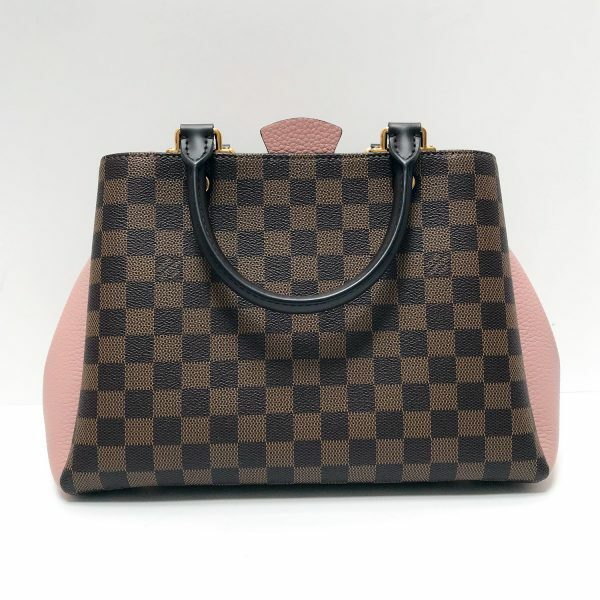 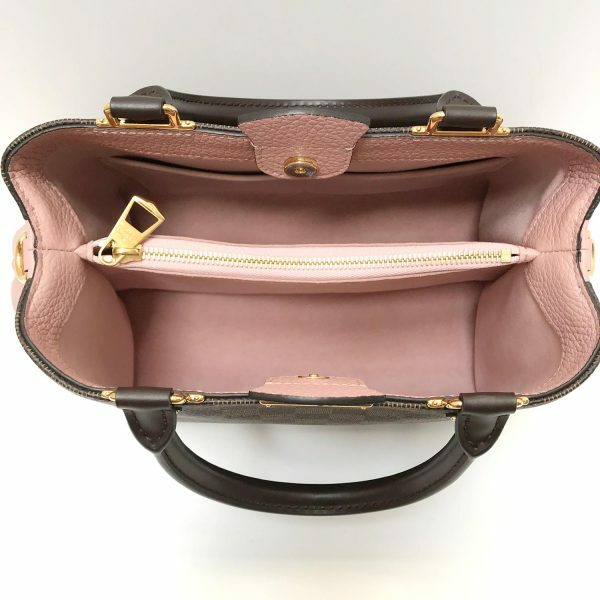 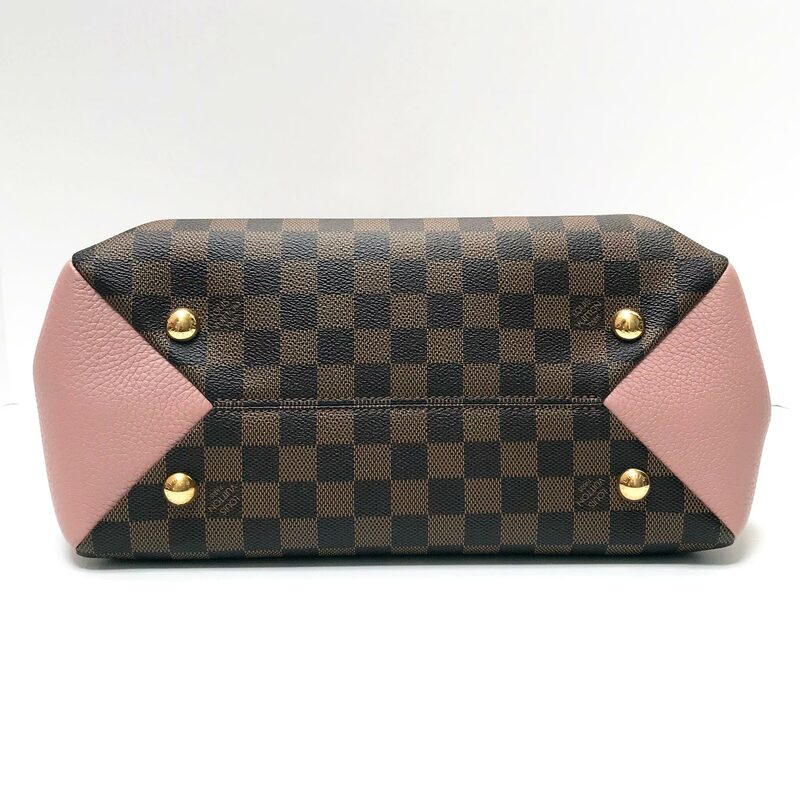 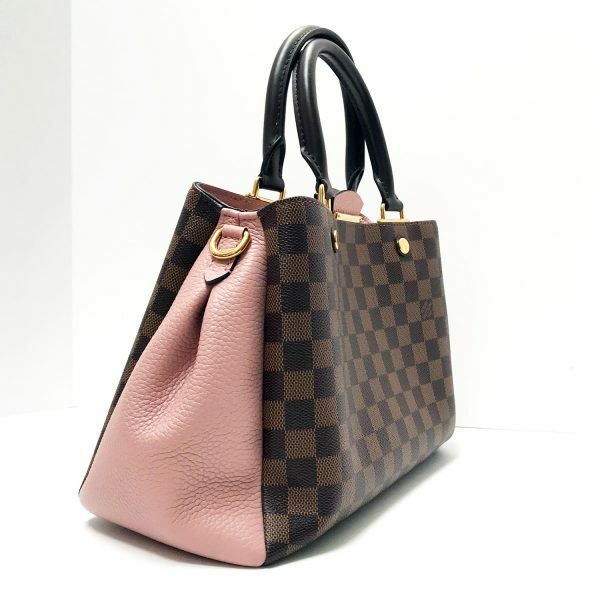 Lovely Louis Vuitton Brittany bag in demure Ebene Damier canvas with Magnolia pink Taurillon leather detail. 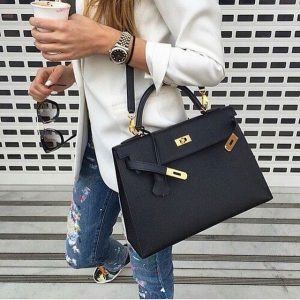 Romantic style that’s perfect for any occasion. 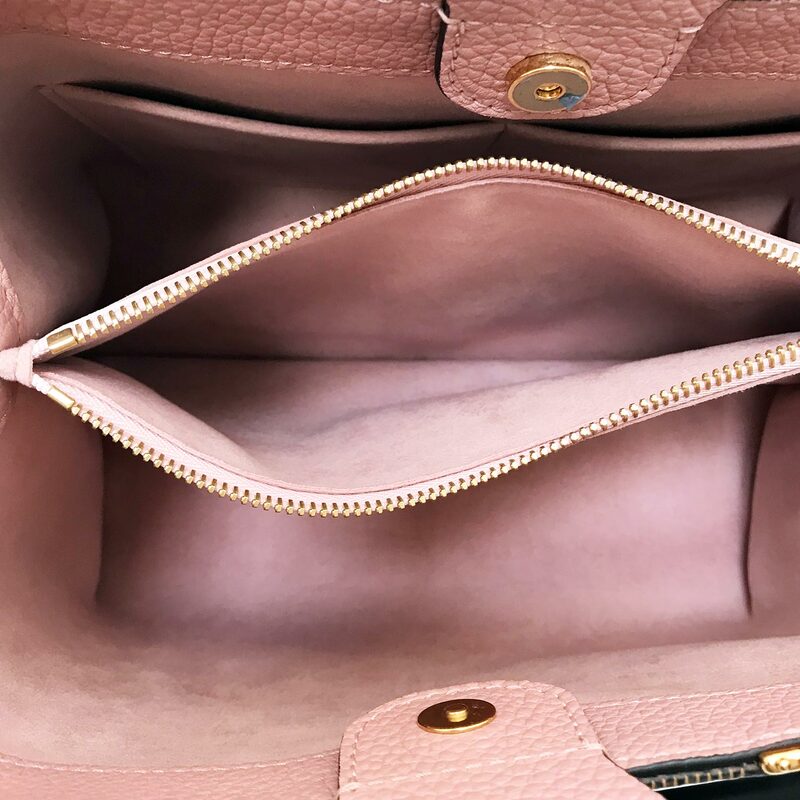 Features a comfortable size with multiple interior compartments including a zipped middle compartment. 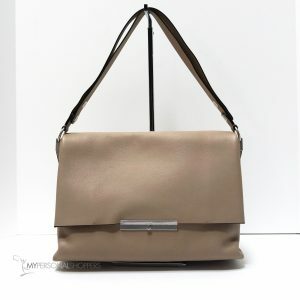 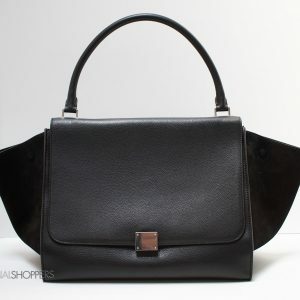 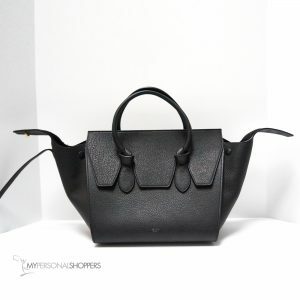 Sophisticated on your arm; wear on the shoulder or cross-body as it comes with a removable shoulder strap. 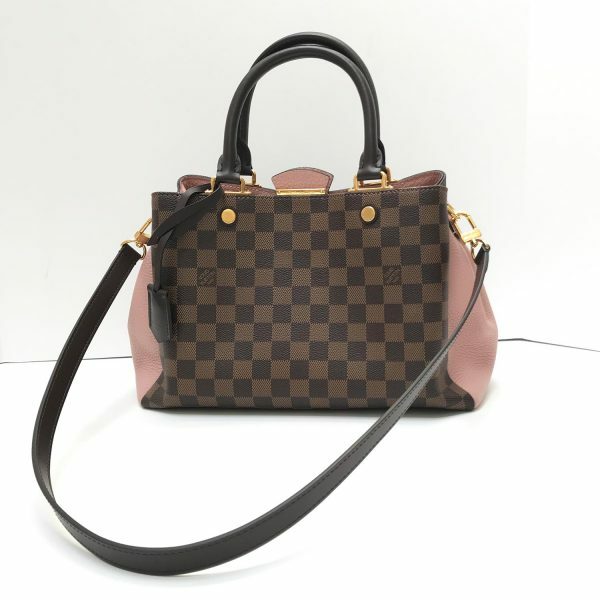 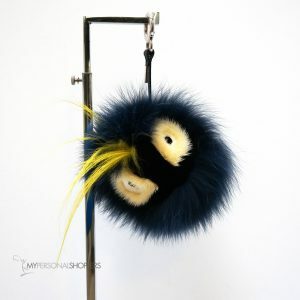 In near new/excellent condition, carried just a few times. 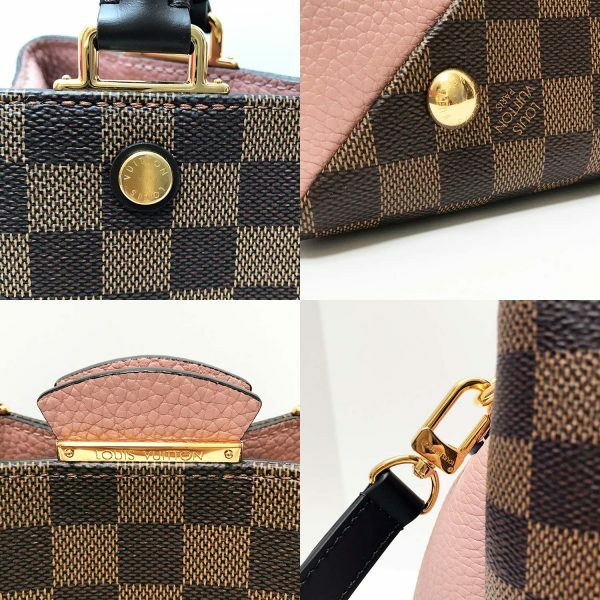 Very clean inside and out, no wear detected. 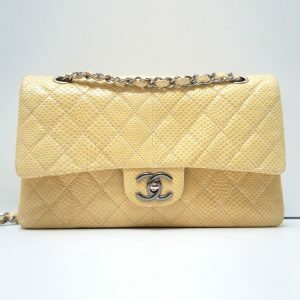 A faint scent of perfume is present – will air out. 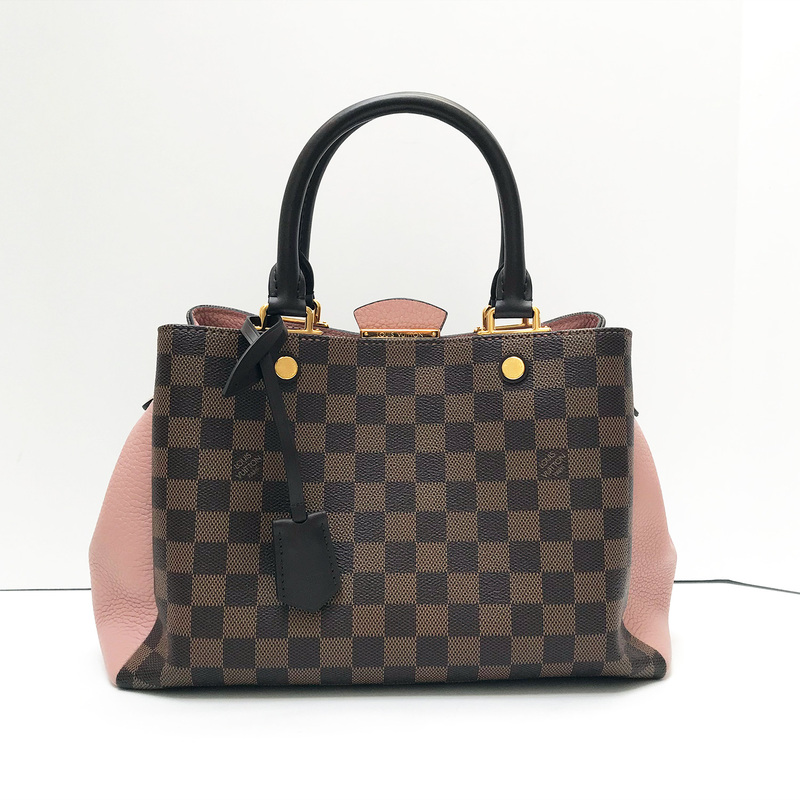 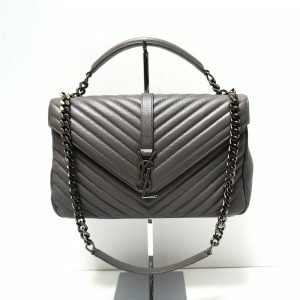 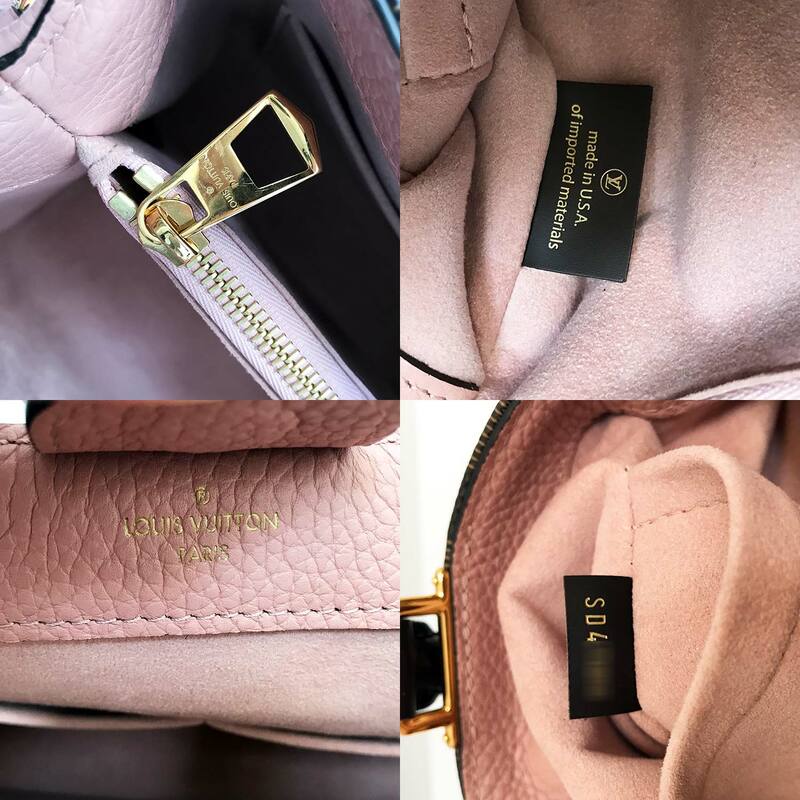 Comes with the original Louis Vuitton dust bag, box, product card, and copy of receipt (all personal information blacked out).